Born in Lima, Peru, Alex Acuña was inspired to learn music by his family by the age of four. 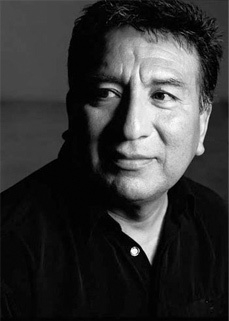 By the time Alex was a teenager, he was one of Peru's most accomplished session drummers. After traveling to the US, he began studying at the Puerto Rico Conservatory of Music, playing for three years as a classical percussionist under the famed cellist master, Pablo Casals. Alex later moved to Las Vegas and there, he played with such greats as Elvis and Diana Ross. Following this chapter of his career, Alex became both drummer and percussionist for one of the most innovative jazz groups of our time - Weather Report - recording "Black Market" and the famous "Heavy Weather" album. His countless album credits and live performances are comprised of such diverse artists as U2, Paul McCartney, Al Jarreau, Joni Mitchell, Yellow Jackets, Ella Fitzgerald, Andre Crouch, Wayne Shorter, Joe Zawinul, Placido Domingo, Julio Iglesias, Michael Jackson, Whitney Houston, Herbie Hancock and Koinonia. Alex has recorded hundreds of film scores under the direction of Michael Giachinno, John Williams, Dave Grusin, Alan Silvestri, Michel Legrand, Bill Conte, Michel Colombier, Marvin Hamlisch, Maurice Jarre, Mark Isham and many other composers. Alex became the recipient of many awards and honors including the NARAS MVP award and winning the "Latin/Brazilian Percussionist" category of Modern Drummer's Readers Poll for five years running. It's not hard to see why Alex Acuña is one of the most sought-after musicians of our time - he recognizes his music is a gift and gives all the glory to God!